In order to give Rand more opportunities to burn off energy during the day Stephanie enrolled him in a couple classes. 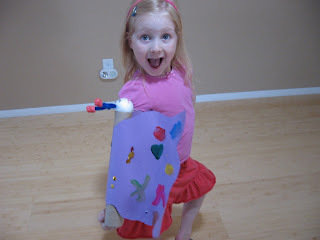 One of the classes was from the local Parks and Rec and it was an arts and crafts class. 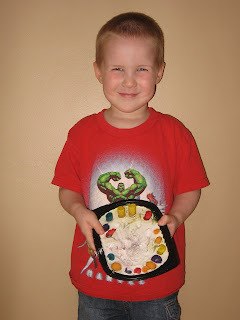 He had a lot of fun making things with Miss Lilly. 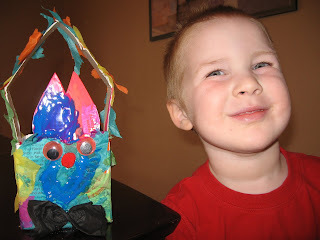 Here are some of the things he made. We are very glad we enrolled him in the class because it also made him happier to have more things to do. The first thing he made was an Easter basket. 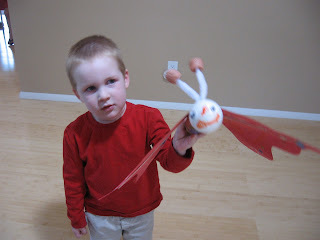 Then he made a butterfly. Rhianna didn't have school that day and so she went to his class and got to make one too. 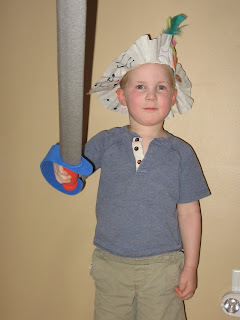 He then made a pirate hat, which he decided to model with his sword. 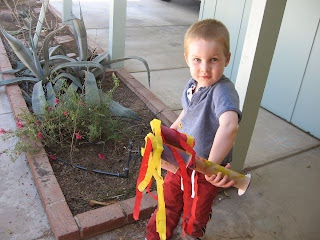 Then he got to make a rocket ship. 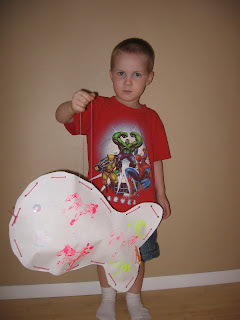 He also made a giant fish. One of his last craft projects was to make an impression of his hand. Rand you are such a good looking kid. I like all your artwork. Andrew likes to do finger-painting artwork. He also really likes pirates so he would love your hat and sword. Good job! What is that cute baby Seth up to?